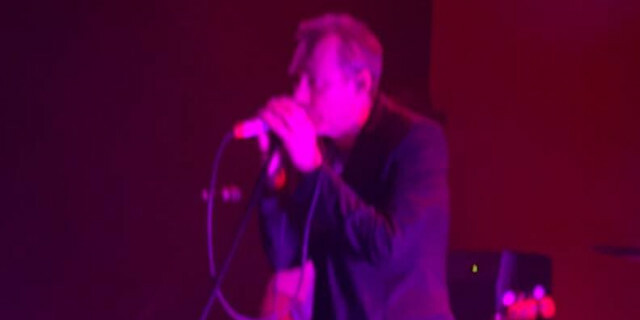 It is rather frightening to think that it’s now over thirty years since Psychocandy by The Jesus and Mary Chain graced the airwaves. Well, frightening to people of a certain age such as this reviewer. Telling everyone how absolutely ground-breaking the band and their debut album was is comparable to an elder describing how the music world changed when Big Joe Turner released Flip, Flop and Fly. Feeling old yet? But yes, it is now more than thirty years since the black-clad brothers and friends from East Kilbride appeared on the scene, shyly hiding behind dark sunglasses, and screaming feedback with unexpectedly melodic instrumentation. Psychocandy received justifiably overwhelmingly favourable reviews from the critics and a surprising degree of mainstream coverage. The initial reactions were justified, with more later compilations rating it among the best albums of all time (e.g., Rolling Stone‘s 2006 list). With an established fan base subsequent albums were also quite successful, but with the band splitting in 1999, only to reform for live shows and compilation album releases. A Psychocandy 2016 Tour event was held on March 7th in Melbourne at The Forum, which is certainly one the city’s better venues (the night previous had the band perform at 170 Russell Street, which is also pretty good). The rich late-noveau styled building of The Forum is decorated with neoclassical statues, the layout allows for comfortable seating at the back and standing space for more enthusiastic at the front. The floor is angled, so people at the back have a good view of the performers, the place is well-ventilated, speakers as well distributed throughout, and the even the drinks are at a reasonable price. As readers would know by now, this reviewer considers the venue to have importance at a live event, and promoters should pay some attention to it. There were two support acts on the night, Grinding Eyes and Alvvays. The Sydney-based first band were certainly in the style of things to come, with some really good darkwave progressive sounds . The latter, a relatively new Canadian five-piece who were also engaging in their own independent tour, were somewhat reminiscent of The Clouds, playing a jangly guitar-heavy sound juxtaposed with the clear vocals of Molly Rankin. 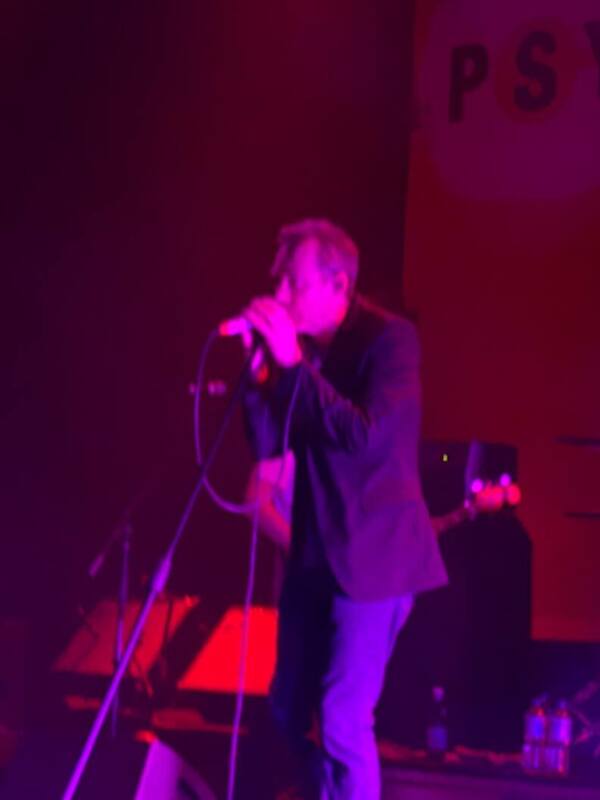 With the iconic album-cover backdrop, the Jesus and Mary Chain set started with several songs that were not part of Psychocandy, starting with April Skies, and including well-known songs such as Blues from a Gun, Some Candy Talking, and Reverence. They were all performed extremely well to a very enthusiastic crowd. The band themselves, never known for being particularly animated on stage – a figure emerging from smoke is more their style – were far more subdued. One could even be forgiven for thinking that even after these years they still suffer from stage fright. Through this part of the set and quite notably the first several songs of Psychocandy it must be acknowledged that the sound was a little flat. This was somewhat expected – a band that relies on heavy use of feeback in a venue this large is a challenge for any mixer. It seems that they took the safe option and truncated the sound, resulting in timbre that equates with the oft-made comparison with The Velvet Underground (especially Black Angel Death Song). I threw up on Lux Interior.